I'm agreeing with Alex that a nuclear reactor of some time, at least in the initial stages of the mission, is the most feasible idea with our technology. Perhaps fusion will be online by then. I doubt it will be compact enough for us to use. What about LENR? Let's ignore the controversy for now over whether Rossi is a charlatan or not, since others are working on this technology and it looks to be close to becoming a reality anyway. Does anyone know the expected energy output of such a device, and how much resources it would require to fuel a lifetime long mission? Might it be more or less reliable than nuclear? Cold fusion (LENR) has zero repeatable evidence and no accepted theoretical framework among physicists. I would love to see some good peer-reviewed papers supporting the viability of the technology, and if you have some, please share. Yeah, I freely admit not having the suitable knowledge of nuclear physics to defend it with any authority. My understanding about the processes that have been researched lately is that "fusion" is actually a misnomer, and that cold fusion is not what is actually happening (leading to attempted re-branding as LANR or CANR), but it's got that label now and it's gonna stick. Aside from the sketchy Rossi device, Brillouin http://brillouinenergy.com/ seems like the most promising rival. Supposedly they have sold a working device and regional rights to a Korean developer, though I don't know that it's been independently verified. My layman's impression is that the detractors and supporters alike tend to be equally irrationally zealous about their positions, but that there is realistic potential in the tech. I'm interested and open to the possibility, and I love to see new research. I'm just waiting for peer reviewed evidence, because that's how science works. Just because someone has a hypothesis and funding does not mean they will get results. A rectenna is a rectifying antenna, a special type of antenna that is used to convert microwave energy into direct current electricity.The rectenna was invented in 1964 and patented in 1969 in USA. And Now, New invention 'harvests' electricity from background radiation and could be used to beam power to remote locations. 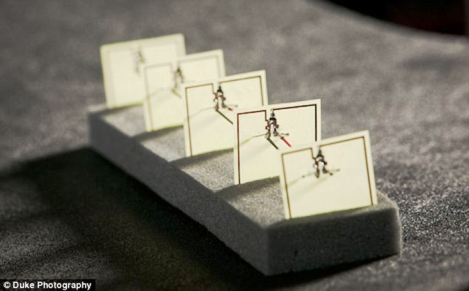 If you talk about efficiency, Engineers at Duke University have designed a breakthrough gadget that 'harvests' background microwave radiation and converts it into electricity, with the same efficiency as solar panels. Radiation mitigation may also be achieved this way. Concentrating on a single thing results in high efficiency and results. Idea of Cold fusion is not Bad, However new discoveries may be done in the future. Researchers at the U.S. Naval Research Laboratory have now proven that it’s possible to power engines instead with a cheap, convenient supply of fuel: seawater. Scientists have spent nearly a decade laboring to turn the ocean into fuel. The breakthrough, demonstrated in a proof-of-concept test, was made possible by a specialized catalytic converter that transforms carbon dioxide and hydrogen from seawater into a liquid hydrocarbon fuel. It is Latest News. If that is True, Electricity and Energy can be produced through the underneath Ocean of the Europa. Right now Nasa is steadfast in their pursuit of Mars. They are working on converting garbage into energy. I think these ideas can help in the spacecraft. Also, any advantage which can be acquired from the biosphere 2 experiment? I can see where the radiation breakthrough above will help power the basic electronics, but I do not see they would have the efficiency to power something like a drill or transporting tons of material through space or on the surface of the Moon. Also, any advantage which can be acquired from the biosphere 2 experiment? Probably we can take advice from what did not work. 1. It is hard for amateurs to run a highly technical project. 2. Biological systems are complex and they are hard to control and to predict what will happen with them. 4. Growing your own food takes a lot of time and energy.